When Hunter started its fall semester Monday, August 28, Jamie Davis, a British student in her third semester of the CUNY Baccalaureate for Unique and Interdisciplinary Studies program, popularly known as the CUNY BA program, she was taking a break from class when she interviewed outside of the third-floor students’ lunchroom in the West Building. “My first week was a bit hectic and I had some trouble with registration due to one minor issue that cascaded into a larger one,” said, Davis, wearing a dark jacket over a long shirt with black jeans, her hair tied back away from her face. She was one of several people interviewed about their early weeks of the semester as part of a series of WORD stories about the campus starting its new academic year. Davis missed registering for some classes, and had to do some last minute juggling to make her class schedule work. “Other than that, I got to see faces that I hadn’t seen since the end of last semester, and I got to meet some new and interesting people,” she said. 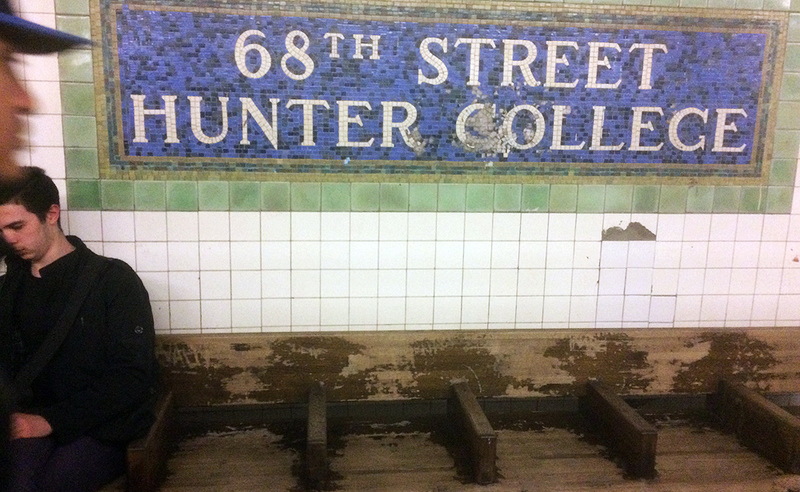 Hunter is often described as one the most diverse of CUNY’s four-year colleges. It’s been estimated that more than 50 languages other than English and many dialects are spoken at the college which has more than 25,000 undergraduate and graduate students on its many campuses around Manhattan. The main campus is located at 68th Street and Lexington Avenue. College life can be very invigorating for students who have plans and can stick with them. On the other hand, there can be a down side for students studying so much that it increases stress that can negatively affect their social lives and their health. The hurricanes striking Texas, the Caribbean, Mexico and Puerto Rico were on students’ minds. Davis recalled how New York was struck last year and said that it could be hit again. “It is maddening and frightening, especially given the lack of control one has over such things. I do feel very badly for the people whose entire lives have been destroyed, and feel so very much grateful for all the fortune I have, but I do not think that this precludes us from future weather events, which may have a significant impact on our daily world,” she said. Regardless of the bad weather, “Hunter,” she also said, “was a nice place and healthy with an eclectic mix of people and study opportunities. The campus is centrally situated, which is good for me, but I do wish the lifts weren’t so dreadful” At this point, Hunter has several elevators out of commission in the North Building where students trying to get to classes can face this challenge in its own right. Barbara Laurie, a transfer student from BMCC, wearing a green sweater over black pants, was on her way to class when she was interviewed about her first few weeks at the college. She said she enjoyed music and was thinking about becoming a music major because she has been performing professional for many year and Hunter just might be the place for her to get her big break. 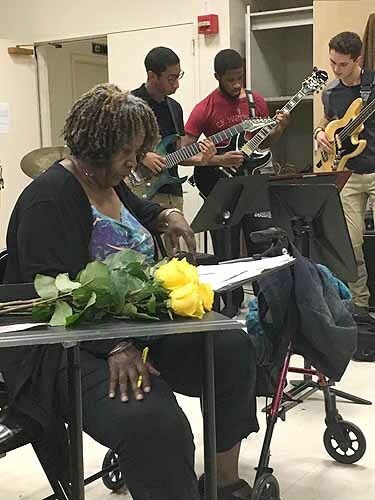 Pricilla Owens, an adjunct professor in the music department, teaches music theory, jazz ensemble and gives private performance classes to students receiving music scholarships, also works as a professorial singing artist when not working at Hunter. Professor Owens was on her way to class when she was interviewed. “My first full week of school was pleasant in some ways and unpleasant in others. It is always a pleasure to meet new students and talk about their expectations for the coming semester” she said. “It was also unpleasant because I am recuperating from surgery and have difficulty getting around. My usual class, the Jazz Vocal Workshop, was cancelled and students had to sign up for it as an independent study. Many students did not know this beforehand, and some, unfortunately, will miss out this semester. 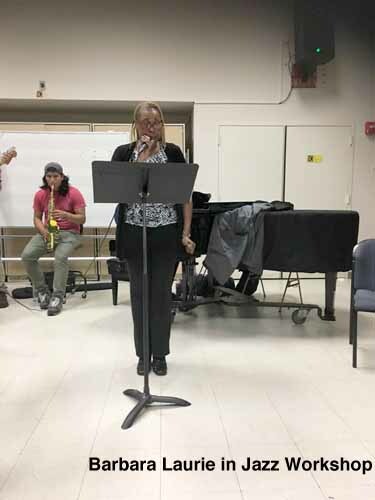 Also my classrooms were freezing, not for my theory class, however, but my voice lesson studio and my large rehearsal studio were uncomfortably cold.” Each building at the college seems to have its own temperature and this complaint has been going on for years. This writer who is a part-time student and a full time staff member working in student advising can say that the first few weeks of chaos can settle into a productive and exciting semester if a student or faculty member has a plan.